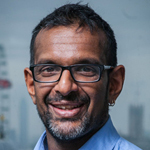 Anand Menon is Professor of European Politics and Foreign Affairs at King’s College London, and Director of the ESRC-funded research initiative The UK in a Changing Europe. He has written on many aspects of contemporary Europe including the EU and European security. My inspiration came largely from my PhD supervisor, Vincent Wright. He had a uniquely positive approach to both research and teaching which was infectious and made the profession appear hugely appealing. He also, of course, in retrospect, had an uncanny knack of avoiding administrative tasks! The success of former students – doctoral students who showed an incredible aptitude for sheer hard work, talented students who went on to use the skills they’d developed at university to pursue hugely successful careers either within or outside academe. Undergraduates who are now professors (two to date) inspire somewhat more mixed feelings related to my age. How to ensure that the costs and benefits of globalisation are equitably distributed, both between and within societies. Partly, this is a question of finding effective ways to manage globalisation at an international level – through measures aimed at, for instance, dealing with power enjoyed by large multinationals to play tax jurisdictions off against each other and to protect workers in poorer countries from exploitation. Partly, too, it’s a matter of ensuring that the costs and benefits of liberalisation and free trade are fairly shared within societies. In the UK, there are winners and losers from the process, and it’s too easy for the latter group to be drowned out. Emblematic of this are debates about the impact of EU membership, which are assumed by one camp (often overly dominated by big business) to be positive and by the other to be negative. The fact is that this impact has been variegated across different regions and sections of society. A greater understanding of this variation could, hopefully, lead to an appreciation of the need to compensate those who have suffered as a result of the forces of liberalisation and free trade, so its gains can be more broadly enjoyed. Here I’ll do what I am forever telling my students not to do and answer a slightly different question to the one set – if only because my knowledge does not equip me to stray far beyond my own field, so there would be a significant selection bias problem. My two favourite books in political science were, rather irritatingly, written by economists. Thomas Schelling’s Arms and Influence and Douglass North’s Institutions, Institutional Change and Economic Performance are models of sophisticated arguments clearly and comprehensibly presented. I never tire of returning to them.